In SQL Server Integration Services 2008, whenever we need to create expression on variable, we always have to click on variable and then press F4 ( properties window) and then write expression there.The Description was available in Properties Windows but not in Variable Pane. 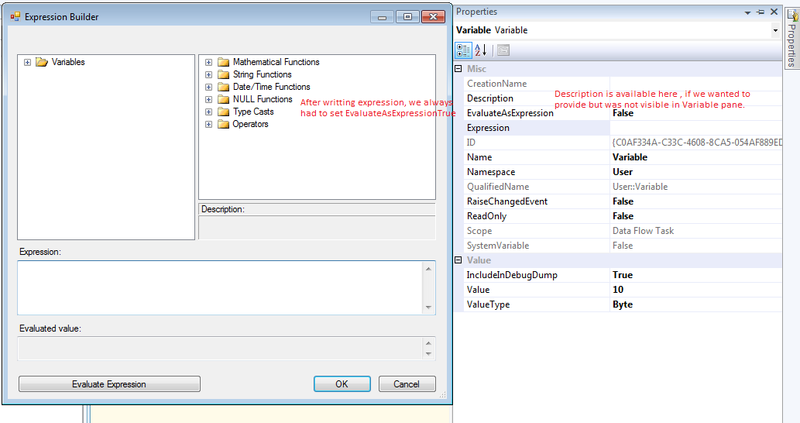 In SSIS 2012, We can write expressions while creating the variable and we do not have to go to properties windows. The Description can also be provided. 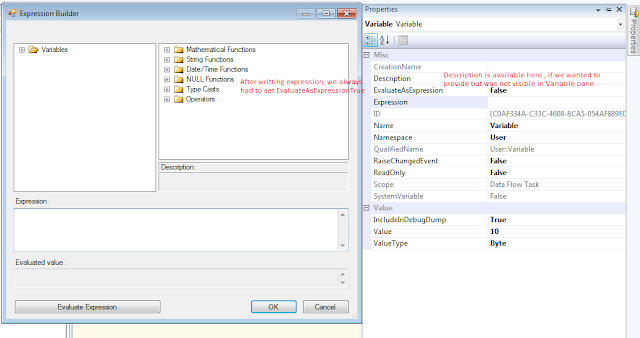 Once expression are written and evaluated , the EvaluateAsExpression property get set to True automatically as well. 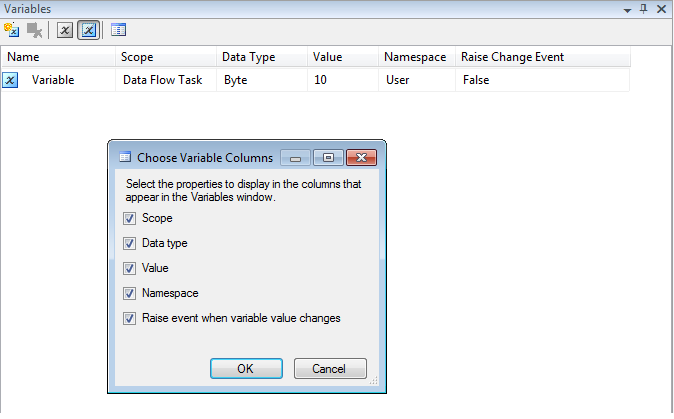 Thanks for letting us know about the changes in variable pane and difference between 2008 and 2012.